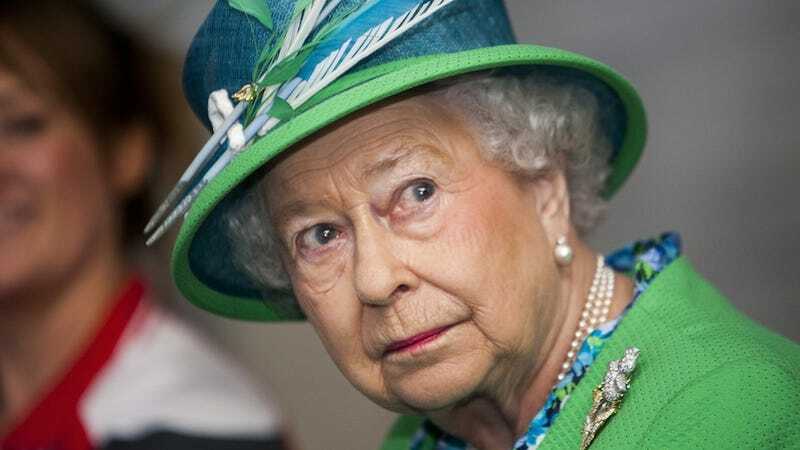 Her Majesty the Queen now spends quite a lot of time at her public appearances staring into a sea of smartphone and frankly she is sick and tired of seeing the backs of iPhones, rather than faces. You'd better pocket that Android before she takes it away from you, young lady. "She was essentially saying: 'I miss eye contact,' " Mr Barzun told Tatler magazine. He said the Queen confided in him during a "nice chat" they had when he presented his credentials at Buckingham Palace after his appointment last year. And heaven help you if she visits your office and your response is to whip out your mobile. Were you born in a barn? The implication was that the Queen regarded it as bad manners to be staring at a screen rather than looking at a guest. Since then the problem has only become worse. Guests at royal garden parties have been bringing their phones in recent years. However, she's quite fond of her own cell and apparently uses it to phone various family members while traipsing about Balmoral. Presumably that means she rings up Harry and demand imperiously that he shave his stubble, while discussing Game of Thrones spoilers and prying for details about that Camilla girl and also when Kate plans to produce the requisite spare.